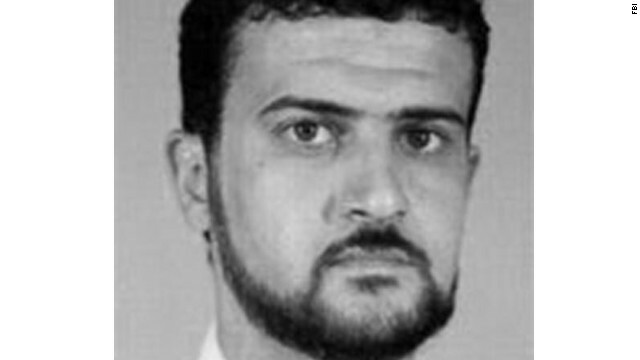 A key al Qaeda operative wanted for his role in the bombings of U.S. embassies in Africa in 1998 has been captured in a U.S. special operations forces raid in Tripoli, Libya, U.S. officials tell CNN. Abu Anas al Libi was grabbed from the Libyan capital in what one of the officials described as a "capture" operation from the Libyan capital. The U.S. operation was conducted with the knowledge of the Libyan government, a U.S. official said. Al Libi - on whom the U.S. government had put out a $5 million reward - is alleged to have played a key role in the August 7, 1998, bombings of American embassies in Dar es Salaam, Tanzania; and Nairobi, Kenya. He has been indicted in the United States on charges of conspiracy to kill U.S. nationals, murder, destruction of American buildings and government property, and destruction of national defense utilities of the United States. Obama has ordered/authorised a lot of hits on high profile terrorists around the globe and the success rate has been phenomenal. John Beinnar said it was not necessary to send the Delta force, that we should set down and negotiate? What? Drunken A..S,. S hole. Please America, do cut that filthy Tea Party lingo out. We need to stay civil on this web page if we're going to have an intelligent discussion here. John Boehnner is almost always wrong and I don't think that he said we should negotiate although it is the right thing to do. This insane underhanded activity needs to cease right away. Besides, it is only serving to increase the great animosity the Muslims already feel toward us. Another field day for the right-wing thugs in Washington and another blow to Islam. It seems that those right-wing idiots in Washington believe that they really can make Islam a thing of the past and supplant it with Capitalism. Hopefully, they may be wrong. The biggest problem the Middle East faces apart from our dastardly military interventions are the ruling Islam Aristocrats who pay Islam lip service but worship U.S. dollars as their new Allah! Good work! Now send him to Gitmo, don't bring him to US soil!! Here he will have "rights"!!! Gee Stan, do you truly hate Muslims that much? Barack Obama and his henchmen are paid to hate them by the M.I.C., but what about you? I say give this man a fair trial at least! Nice work guys! Our government might not be able to politic it's way out of a wet paper bag, but our spec ops never miss a beat. Ahh. If I'm not correct our government ordered spec ops to launch this mission. Or did you think they just plan and execute these things in private? our gov couldnt plan something that works. Our military, can. Perhaps the dysfunctional gov gave the go ahead between vacations, but they dont get credit . Colonels obey Generals, Generals obey the civilian government. There is almost always a boss.